In the 1990s there was a pronounced increase in the numbers of African Americans developing a serious interest in visual art. 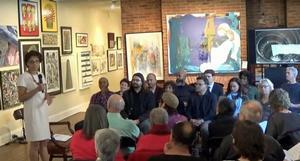 They visited museums and formed friends groups to help the museums acquire works by master African American artists. They subscribed to publications like Art in America, Art Forum and the IRAAA and purchased art books and catalogues. And, in developing connoisseurship, they made careful art purchases and organized collectors’ clubs. 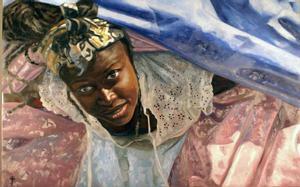 A number of African American galleries cropped to support this growing market. In 1998, the IRAAA published a listing of 100 African American-owned galleries and dealers. Many of them operated out of commercial (not private and studio) spaces. Today only a very few of these galleries remain. Parallel to the decline in African American-owned galleries was the rise of mainstream galleries representing African American artists. 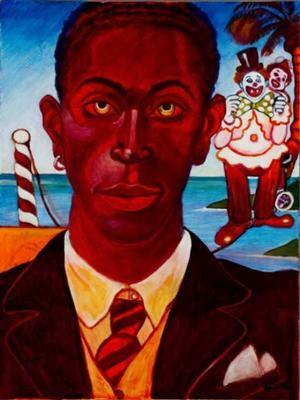 Today, most widely-known, African American artists are represented by mainstream galleries in New York, Chicago and Los Angeles. In this daunting situation for African American gallerists, Myrtis Bedolla of Galerie Myrtis Contemporary Fine Art has developed a strategy for success — well, maybe, not so much a strategy but a way of functioning in the 21st century art market. Her fluid business model changes with the times. So, not only, stayin' alive, Galerie Myrtis is succeeding. Myrtis Bedolla began by purveying Shona stone sculpture from her home in the 1990s. 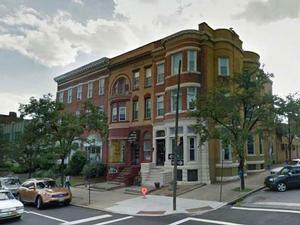 In 2006 she opened a gallery in DC’s Capitol Hill area which specialized in contemporary African American art. 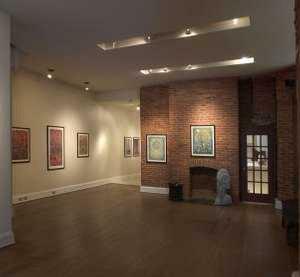 In relocating to 2,500 square foot space on Charles Street in Baltimore in 2008, Galerie Myrtis not only expanded its exhibition space, it expanded its representation to include non-black artists. The gallery now presents broad surveys such as Emergence 2014: International Artists to Watch (60 artists from Burkina Faso, Canada, Finland, Ireland, Israel, Kenya, Korea, Lebanon, New Zealand, Singapore, United States and Zimbabwe). And it examines themes such as The Grandeur and Intimacy of Nature (a 2013 show featuring naturalist artists Lynda Smith-Bugge and Janet Wheeler). The Galerie Myrtis exhibition schedule is not only diverse in these ways, the art spans a broad range of accessibilty. 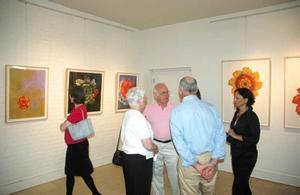 Novice art enthusiasts can find work to admire and acquire from the gallery; so can discerning, seasoned collectors. The gallery’s current show is The Image of the Black: Reimagined & Redefined, September 13 – November 30, 2015. 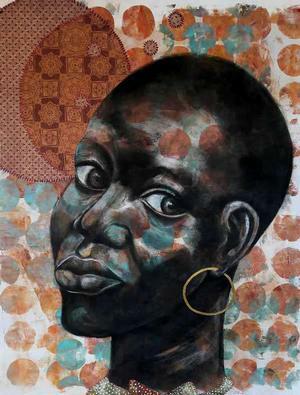 In this show S. Ross Browne, Nina Buxenbaum, Larry Judah Cook, Ronald Jackson, T. Elliott Mansa, Delita Martin and Arvie Smith draw from the familiar and the imagined to reinscribe the notion of blackness within the context of self. 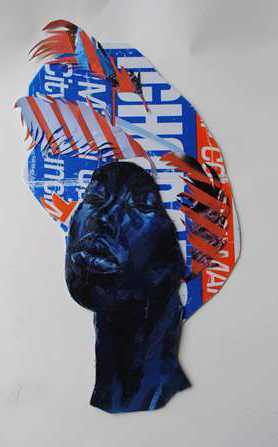 Through painting, mixed media and video they reinterpret the white representation of race and racism, and shift the visual paradigm to the black experience by blacks. 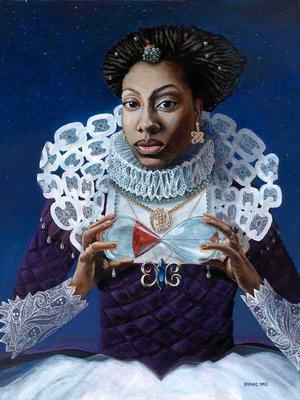 S. Ross Browne uses a combination of existing and imagined mythology in his acrylic paintings. The women in his featured paintings are fierce warriors—composed but poised for action—whether or not they wear armor. Nina Buxenbaum employs painted portraiture to create images of living Topsy-Turvey dolls (traditionally a white woman on one side and a black woman on the other with a skirt between them that flips back and forth to hide and reveal either doll) to explore her bi-racial identity and the multifarious identities in everyone. Larry Cook is showing photography, video and neon work in this exhibition. He focuses on identity, racism and violence (black on black, and white on black crime), shaped by historical and contemporary conditions for black Americans. His work derives meaning from the observation and subjectivity of each viewer. Ronald Jackson is a figurative artist who creates beautiful portraits of individuals who are typically excluded as subjects in the Western art canon. His recent work in acrylic and oil paint, paper and fabric explores the intersection of the subject's experiences and those of the viewer. T. Eliott Mansa has assembled paper, cardboard and found materials to critique the power dynamic found within urban communities. He references a variety of sculptural types used to empower and change in the hopes of preventing economic forces--both political and corporate — from continuing to profit from destruction within the community. 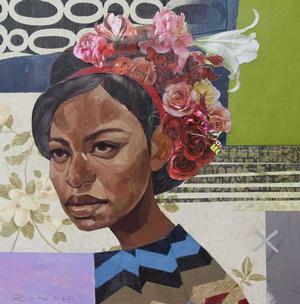 Delita Martin couples layers printmaking, drawing, sewing, collaging and painting with source material from oral traditions, vintage and family photographs to create visual narratives of women of color. Arvie Smith uses bright colors (particularly red), hectic compositions and intense satire in his oil paintings to challenge the marginalization of Africans and African Americans. The result is a visual record of memories of atrocities, exploitation and oppression.